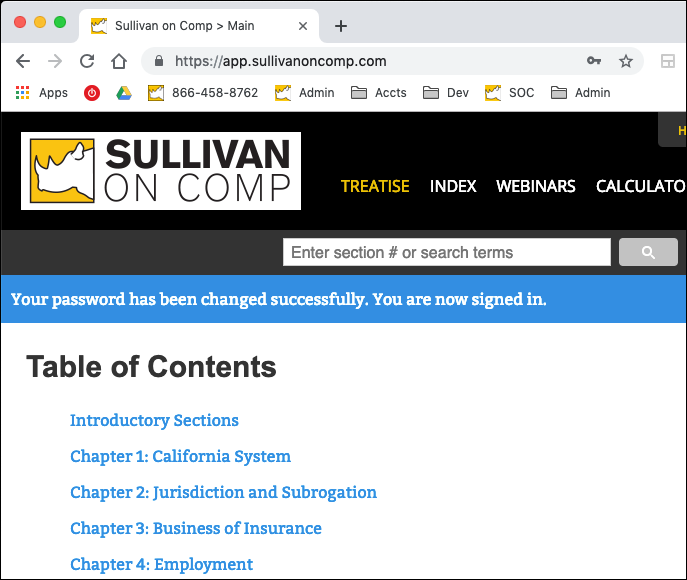 If you are a corporate user of Sullivan on Comp and you've clicked a link in an email or e-book that goes directly to a page inside the app, you might find yourself at a log-in page. Doing so will start the process for setting a password. Enter your work e-mail address and click EMAIL ME A RESET LINK. 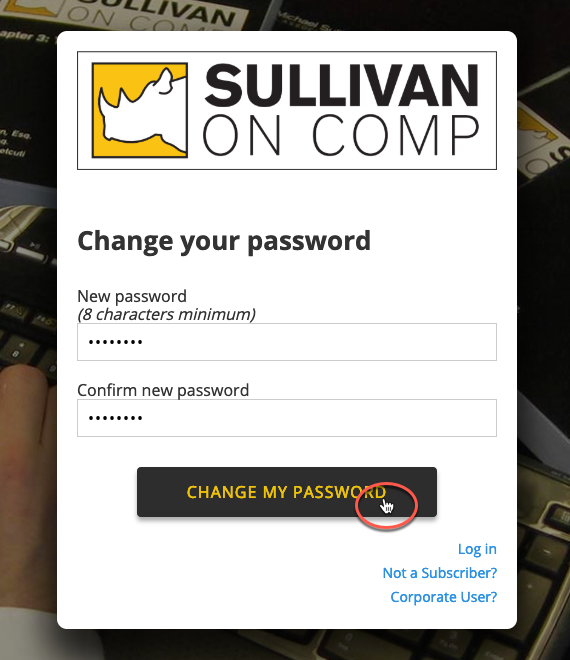 Your password will be set and you'll be logged into Sullivan on Comp. Depending upon your browser settings, you may also be asked if you'd like to save the password in your browser. Many users to say yes to avoid having to manually log in each time. Now, with an active session in your browser, you can return to the original link and click it again. Doing so will take you directly to the referenced page. If work at a company with an SOC corporate account but have not yet set up your personal account, do you have access to either of the following? a link to SOC from your company's intranet resource? 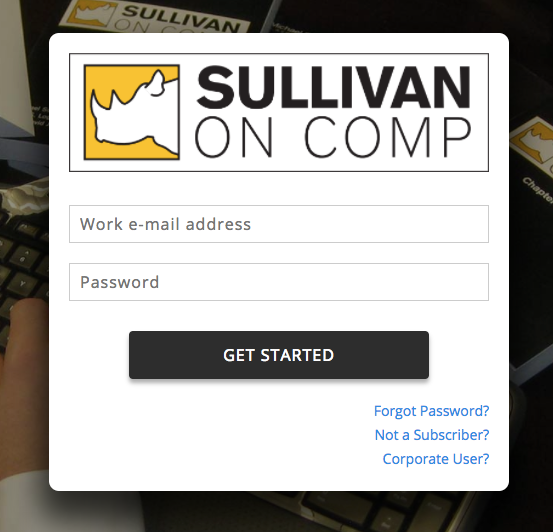 If yes, see this article on How Corporate Users Get Started in Sullivan on Comp. 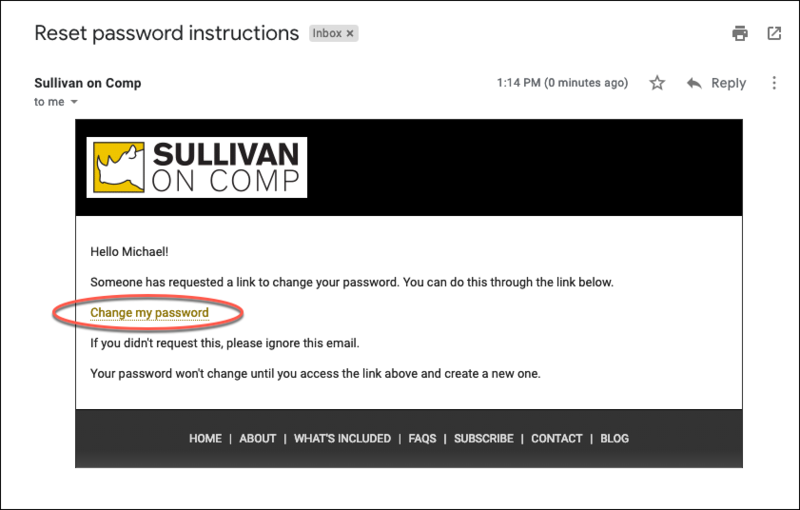 If no, send us an email at support@sullivanoncomp.com and we'll help you directly. 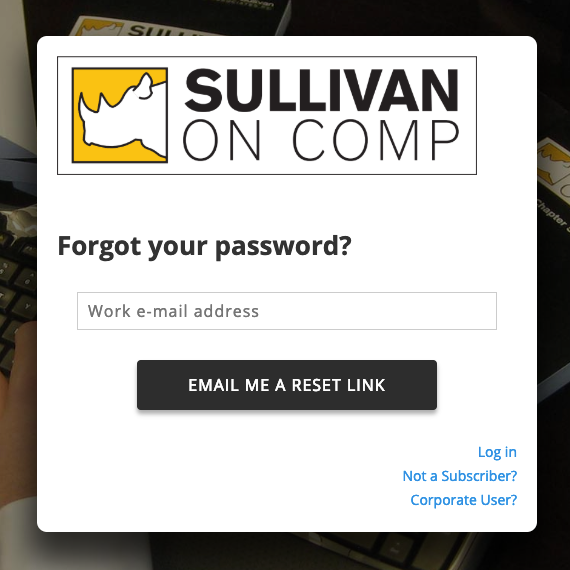 View the site at http://www.sullivanoncomp.com.